Ever wondered how some people successfully turn their favorite hobbies or foods into profitable businesses? One good example is how to start a candy-making business. We will give you a step-by-step guide on how to go about in turning your hobby unto a business. Starting a candy making business is an activity that can be pursued by anyone, both moms and dads, who prefer to stay at home and enjoy cooking or baking confections. This business could also be an avenue to show off your baking and design talent. You could open a home-based business, earn extra money on the side while still be a full-time parent. It’s not that hard because all people love to eat sweets. Candy making businesses can become a profitable business, but first you have to decide which type of candy or candies you want to market. This should depend on what type of candy you are good at making but it is advisable to offer a wide variety of choices for your customers to choose from. Another factor that would determine your success in this business is the quality and presentation of your product. Good quality would always ensure repeat customers as well as good word-of-mouth marketing for the product. A good step to do before starting is to read up on candy-making or if possible attend lectures about candy-making to broaden your knowledge on the products as well as the processes involved. And to start it will be good to whip up a few samples to give put free and let your target market know about you what to expect from you. If possible take continue to take special lessons on the latest trends and techniques in the candy-making business. Create your own unique candy recipes and test them. Prepare all your candy-making materials such as molds, trays for the different candy shapes, chocolates and sticks if you’re planning to make lollipops, wrapping and tying materials for the finished products. Participate in trade fairs so that you can broaden your market. It would be a good idea to have a website as well or a store so customers can see your products. In addition to these steps, if you are interested in the start-up candy making business should also possess some very good candy-making and/or cooking and baking skills. You should also be creative as well as attentive to little details cooking temperatures and the ingredients to be used in cooking. You should also have superior marketing skills and should take time to brush up in your people skills. On the business side of the trade, you must also pay attention and learn bookkeeping, accounting and customer service skills. If you are planning to put up a little shop, then it is advisable to have regular business hours. 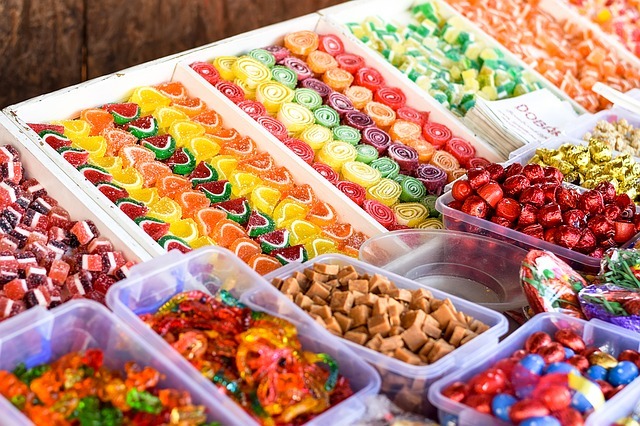 If the candies are going to be sold on a consignment basis, regular visits to the stores is also advisable. You should also take time to apply for the necessary candy-making licenses and health inspections in order to operate your business. we are looking at starting new candy business (organic lolipops) and we are new to the business:). we cant possibly make these at home because you need a lot to make a profit. do I order (with our recipe) the candy from a factory or manufacture to make bulk? any help would be great.